Summer Warmth on Poles by Joan Turecki Acrylic on Canvas SOLD! The inspiration for my show emerged from a yearlong collaboration with a remarkable poetry group called ‘Writers North of 54’. They invited me to explore with them, ideas connected to shadow and light. It was a provocative adventure that stirred new connections, touched a deeper awareness of light and shadow and motivated me to linger in the unknown in order to paint a glimpse of something I didn’t see. Joan Turecki studied at Vancouver School of Art (Emily Carr School of Art and Design) from 1971-1974 and received a Master’s of Human Development with an Art Education Specialization from Pacific Oaks College, Los Angeles USA in 1997. 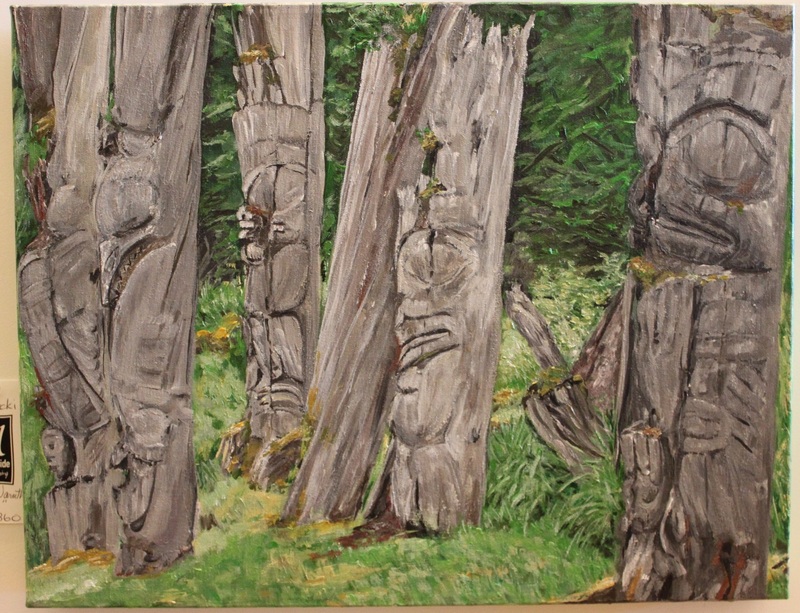 Joan’s acrylic paintings have been influenced by the 35 years she has lived in Northwestern BC and are found in private collections throughout North America.